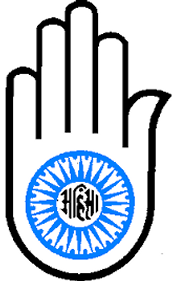 Have you ever heard of the religion Jainism? 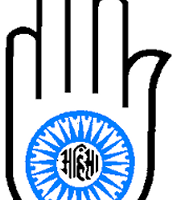 Jainism is one of the few religions in India. Jainism is still being taught today because many still believe in the teachings of it and because they learned it while they were still young they more than likely follow it. No matter how long it is, people will always remember their history if they followed it and the teachings. The Jains beliefs, there are so many beliefs they have, and some you might just agree with.Followers of Jainism believe that the world, space, and time are eternal and uncreated. Every live being has a soul including plants, animals, and us. They also believe no god or spiritual being will help them. Those three beliefs are just a few they believe in. Mahavira, Monks, and Nuns are all some of the respected/main people in Jainism, but most of the rest are Lay followers/members. The man that gave Jainism it's present day form is a man named Mahavira. Instead of priests, the religion has monks and nuns. The Monks and Nuns devote their lives to spiritual perfection. The Lay Followers/Members refrain from eating food, avoid unnecessary travel/pleasure, being content with spouse,avoid lying, violence, and stealing, to fast and control their diets, and to serve fellow believers, especially the Monks and poor. Most may think anything non-living has a soul, but the Jains believe otherwise. Anything living has a soul, but anything non-living has a non-soul is something the Jains believed about the soul. The Jains practiced Manumission to achieve eliminating all karma from the soul. Jains worship because it improves their spiritual state, destroys bad karma, and much more. 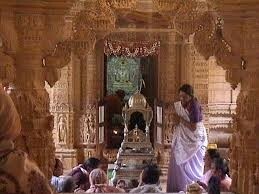 The Jains beliefs, people, and soul are just a few things in their religion. All of the last things I've said is something the Jains believe in, and you might too. BBC News. BBC, n.d. Web. 11 Nov. 2014.